Beautiful Townhouse in South Village of Celebration. Better than new and has upgrades galore. As you enter into the home you enter the family room which is large ad inviting. The eat-in kitchen features an oversized granite island, tile backsplash, stainless steal appliance package, pendant lighting, and plenty of cabinet space! Dining room is right off of the kitchen which is great with this open concept for entertaining. The second floor leads into a flex space/loft/3rd bedroom with a closet. The The master bedroom offers plenty of space, ensuite bath with a garden tub, large shower with beautiful pebble flooring, dual sinks, and a walk-in closet. Covered porch in the front and a private patio space in the back, and a two car garage with epoxy flooring. This is move in ready. 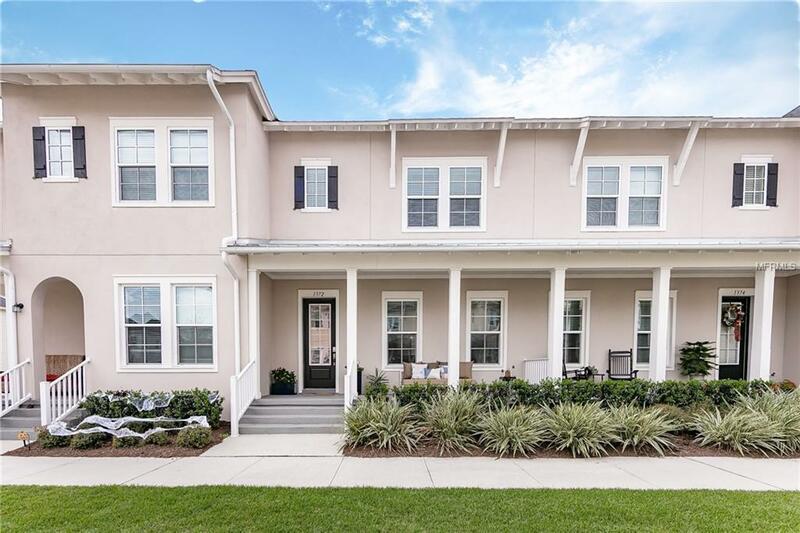 Enjoy all that Celebration has to offer with its vibrant downtown, miles of walking/biking trails, resort-style pools, gym, tennis courts, award winning schools, close proximity to Disney parks, and so much more. Put this on the list to see! !